Inverclyde Council and Fife Council have announced a ban on sky lanterns following pressure from NFU Scotland (NFUS). NFUS wrote to 24 councils at the end of October to calling for councillors to consider ’the untold damage’ sky lanterns could cause. Edinburgh City Council is expected to discuss motions on December 15 and West Lothian Council is putting together a policy to go to Full Council in the New Year. Farmers are concerned about the danger the lanterns pose to livestock when they hit the ground as well as the risk of fire. NFU Scotland President Allan Bowie, commented: "We welcome the bans that have been put in place by Inverclyde Council and Fife Council in recent weeks and thank the councillors for taking this forward following our correspondence. 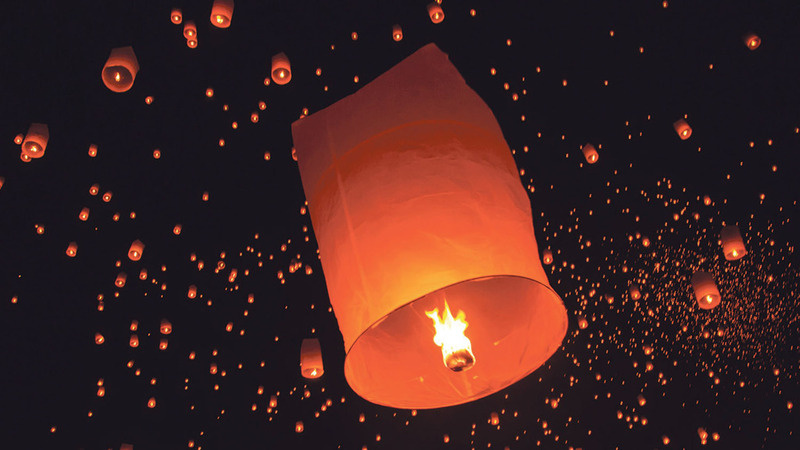 "Sky lanterns are seemingly innocent devices, and are beautiful to look at, but they can cause untold damage as there is no control over where these burning structures of paper, metal and wood decide to land. "We applaud the action already taken against sky lanterns by the 12 Scottish local authorities in Scotland and we urge other councils to take their responsibilities as seriously. "We also ask members of the public to avoid the use of lanterns, and to understand the risks that these can pose and call on the councils who haven’t put bans in place to consider doing so."